E-40 is the only rapper dropping trilogies at the age of 50. Today (Aug. 24), the Vallejo, Calif. legend released The Gift of Gab, the first album in his newly announced three-part Definition Series. The 12-track project features contemporary stars, upstarts and even Dr. Cornel West, whose comments about his dedication to uplifting Black and Brown children are sampled to close the album. G Perico and Vince Staples team up on "Ain't Talkin Bout Nothing," Ty Dolla $ign appears on "One Night" and SOB x RBE's Yhung T.O. raps on "These Days," among other guests. E-40 also shared a music video today for the project cut "Wicked" featuring Rick Rocka. The visual, directed by Jayy Omar, includes cameos from Charlie Hustle's Sick Wid It label signees OMB Peezy and Nef The Pharaoh, who are both joining 40 Water on the upcoming Gift of Gab Tour, set to launch on Aug. 29 and hit 21 cities across the western part of the U.S. and Canada. The new full-length LP is E-40's 28th studio album and his first since 2016's two-part The D-Boy Diary: Book 1 and Book 2. It serves as the first installment in The Definition Series; the final two albums in the trilogy will be titled Rule of Thumb and Practice Makes Paper. Both are waiting for a release date. 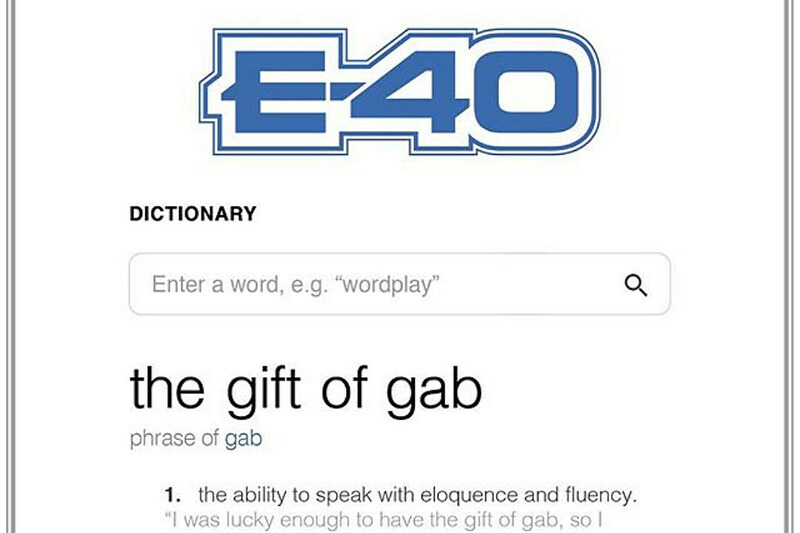 Listen to E-40's The Gift of Gab, watch the "Wicked" video and scope the tracklist, cover art and tour dates below. 2. "The Pots & Pan Man"
11. "These Days" featuring Yhung T.O.